Traveling to San Francisco from Los Angeles is an easy trip that I do regularly. However with all of my visits, I have found myself at a different hotel almost every time I am there. 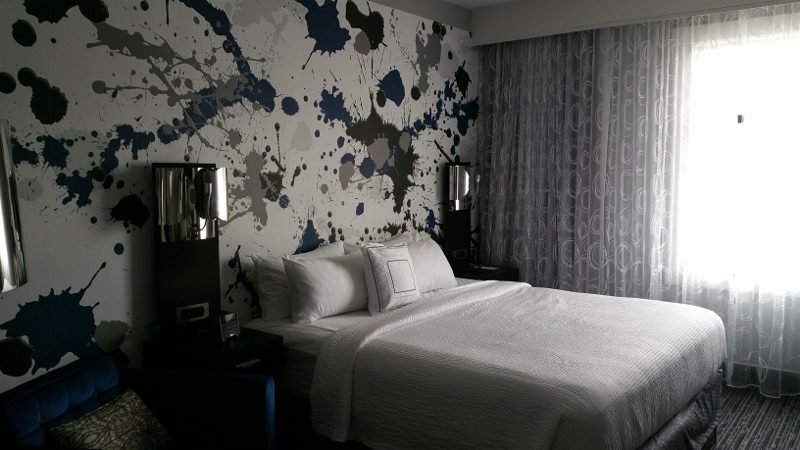 There is no shortage of hotels in San Francisco but there are times that the cost can be prohibitive. The more central you want your hotel, the higher the rate. But, I found a hidden gem just a few blocks from Union Square that is not only in a good location, it is modern and most importantly affordable. It is the Courtyard San Francisco Union Square. A former apartment building, the Courtyard San Francisco Union Square has been remodeled and is fresh, clean and updated. 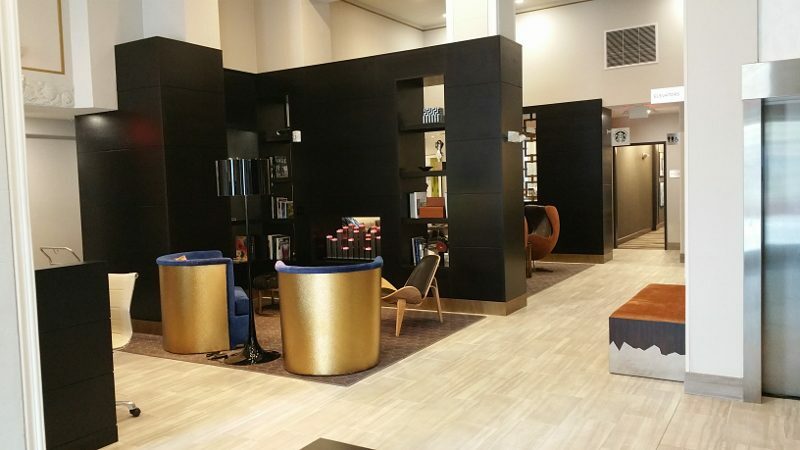 The lobby is bright and modern with areas to sit and relax. The room I had was a nice size – not large but not too small. There was enough room for a queen-size bed, a lounge chair, a full desk and a flat screen tv, plus room to walk around. 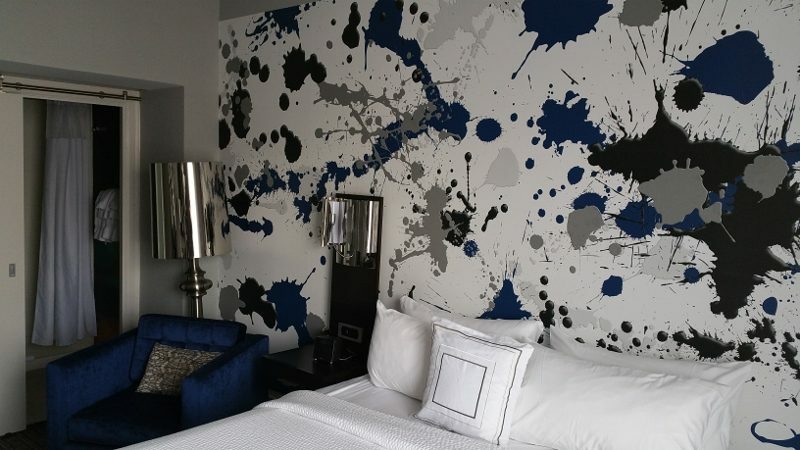 While the decor of the room was sleek and understated, the paint-splashed wall added a bit of excitement and energy. After a good night’s sleep, the bistro on the ground floor of the hotel offers coffee and pastries. I like when you do not have to leave the hotel to find the nearest coffee shop. Of course, there is seating in the bistro, but sometimes it is nice to just run down from your room, grab a coffee and breakfast and then go back upstairs to get ready for the day. 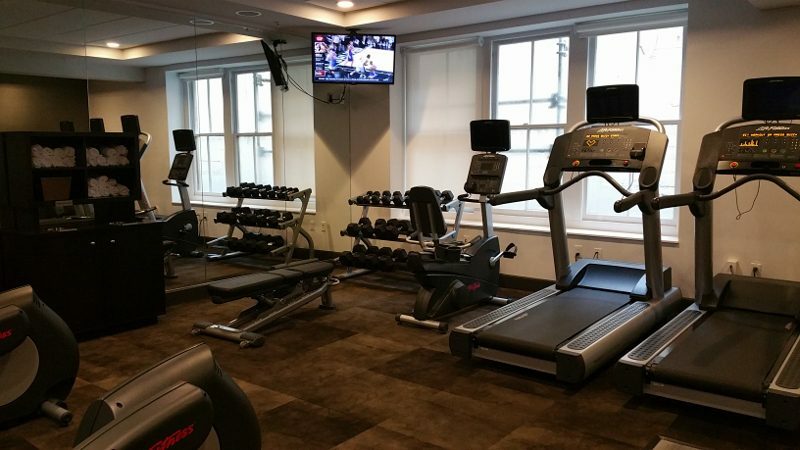 If walking around San Francisco is not enough exercise, the hotel has a full gym with modern equipment. The best part is that it is possible to get a room at the Courtyard San Francisco Union Square for under $200 per night. That is a great rate for Union Square. 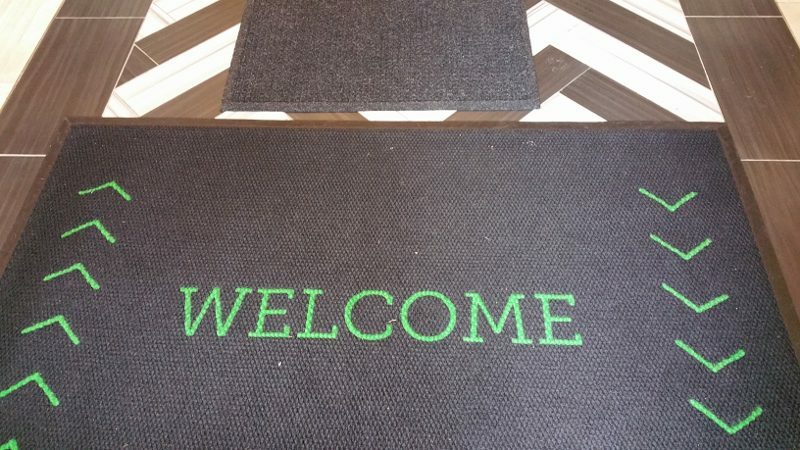 This entry was posted in Lifestyle, Travel and tagged Courtyard Marriott, Courtyard San Francisco Union Square, hotel, San Francisco, Travel by Allison Levine.